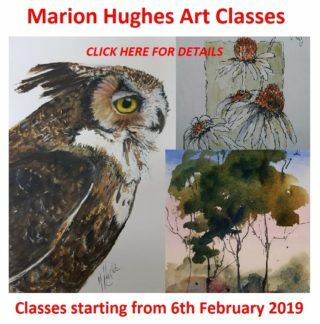 For February, our focus is on Watercolour tuition and we’re pleased to present the works of renowned art teachers; Terry Jarvis, Kasey Sealy and Joe Cartwright. These very successful professional artists generously offer their knowledge to help their students master this beautiful but sometimes unforgiving medium. Many years of dedicated practice is required to develop the skills necessary to produce high quality watercolour paintings. Each of these highly sought after teachers offer excellent tuition through workshops, demonstrations and painting holidays. Expert individual guidance is given in every aspect covering colour, composition, special effects and so much more to help students quickly develop their skills. Whether you’re a beginner or at an advanced level, if you’re passionate about art, consider an art holiday with these award-winning artists. There’s a range of fabulous locations to choose from throughout Australia and overseas. Perhaps you can picture yourself in sunny Tuscany or the Greek Islands, meeting interesting like-minded people whilst developing your watercolour skills. We know you’ll enjoy viewing their superb watercolours and perhaps be encouraged to start planning your next workshop or painting holiday. Terry Jarvis is one of Australia’s exceptional watercolour Artists. 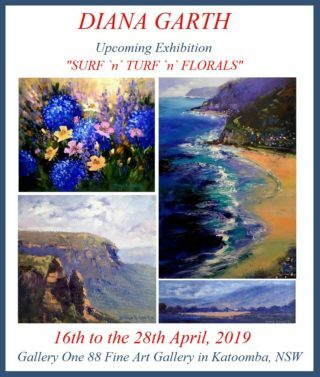 His passion for his craft and his love of this wonderful medium is revealed through his magnificent Australian scenes and artwork inspired by his overseas travels to the Greek Islands, Tuscany, Italy, Finland, Northern Ireland, Sweden and many more exciting destinations. 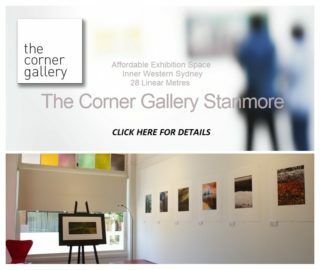 His Exhibitions are always a great success and he exhibits in Galleries in most Australian capital cities. His award winning paintings are held in private collections worldwide. Terry has written feature articles for the Australian Artist Magazine and is a featured artist in the UK publications; “The New Encyclopaedia of Watercolour Techniques” and “Watercolour Secrets”. In addition to his regular workshops throughout Australia and overseas, he also tutors at the legendary Bathurst Summer and Winter Schools in NSW. Kasey Sealy is an Australian Contemporary Impressionist who has painted professionally since 1980. 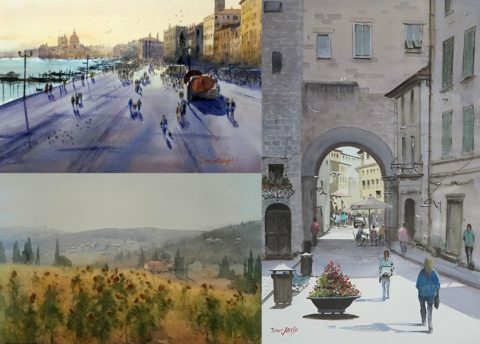 He has studied and painted in many overseas locations and now conducts a range of art tour workshops, mostly to areas in Italy. He also takes regular painting trips around Australia, as his love for the Australian bush is very much the source of his inspiration. He is renowned for his mastery of Light and Atmosphere. 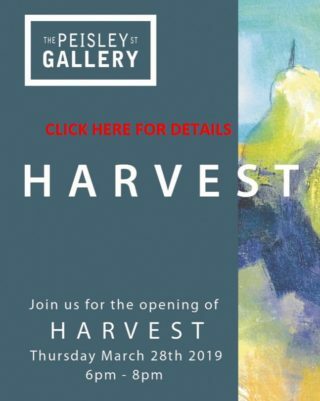 Kasey’s awards and achievements have been both numerous and impressive, including being awarded First Prize 3 times at the prestigious Camberwell Art Show and being selected for the Ingles Equestrian Prize 2012. His articles have been published in Australian Artist Magazine and International Artist, and he has been commissioned by the American Australian Association to provide works as presentations to many high-profile persons in the United States. Several of his paintings have also been offered as major prizes on the Channel 9 quiz shows “Sale of the Century” and “The Price is Right”. 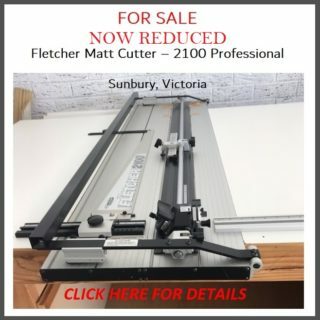 Joe Cartwright is an Australian watercolour artist who has been painting and teaching watercolour techniques for over 20 years. Joe paints in a fluid and spontaneous manner, allowing him to capture the mood and atmosphere of a wide range of subjects; landscapes, street scenes, flowers, wildlife, portraits and figures. For Joe, watercolour is a wonderful medium for expressing these qualities and he believes any subject can lead to an exciting work of art. Joe’s articles have been published in the Australian Artist Magazine and Artists Palette Magazines, and he has also published two excellent books; “Mastering Watercolours – a practical guide” and “Watercolours, Step-By-Step”. Visit Joe’s website; https://www.paintingwithwatercolors.com/ for details of his books which are available for purchase from Amazon.com as either paperbacks or e-books. 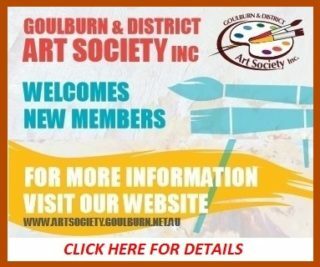 Joe conducts regular classes and workshops through Art Groups in NSW. He is also a regular tutor at the Mitchell School of Arts in Bathurst and he also provides private tuition.